MELVILLE, N.Y., August 3, 2017 (Newswire.com) – RingLead, Inc., an industry-leading SaaS data management provider, recently completed its annual security audit through MainNerve, a certified provider of comprehensive cybersecurity services, penetration testing, and compliance assessments and solutions. At the end of testing, RingLead was found to be compliant against NIST standards, passing assessments for data protection, web application penetration, network penetration, and risk assessment. Ongoing security audits enable RingLead to adhere to current security protocols and best practices, ensuring customer data is always protected at the highest possible level. Since its inception, DMS has been designed as a secure, multitenant platform capable of cleaning, normalizing, protecting and enriching user data. 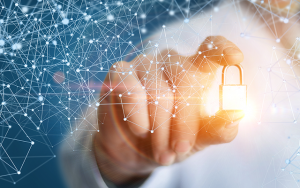 We combine enterprise-level security with regular extensive audits of our application, systems, and network to ensure our customer data is always protected. Within its architecture RingLead is able to protect each user’s work and data, ensuring that users only have access to their own information. Hosted on Amazon Web Services, DMS enables customers to manage their data in a secure, reliable and scalable environment. We understand that companies are trusting us with their most valuable asset when they choose RingLead, and we take their trust very seriously. The passing of our most recent security audit reflects our commitment to providing secure solutions that leave our users with peace of mind. MainNerve, an industry-certified provider of comprehensive cybersecurity services, penetration testing, and compliance assessments and solutions, conducted a series of tests on the RingLead DMS web application and RingLead, Inc. security practices in July 2017. At the conclusion of testing, MainNerve determined that RingLead has successfully exercised all industry proven security measures. MainNerve has a long history of providing industry-leading, defense-grade cybersecurity services to the U.S. Government, as well as other notable companies like Sprint, Alaska Railroad Corp and Magnum Shooting Center. RingLead, Inc. is the fastest growing SaaS data management company on Long Island. RingLead offers a complete end-to-end suite of products to clean, protect and enhance company and contact information. Since 2003, RingLead has helped solve the dirty data problems of thousands of enterprises, Fortune 500 companies and small businesses across the globe.